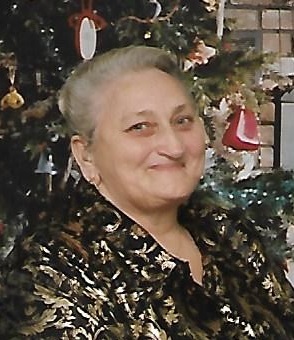 FULTON, NY – Evelyn L. Waugh, 86, of Fulton, passed away Friday morning February 22, 2019, at Crouse Hospital in Syracuse. She was born in Fulton to Robert and Lillian Samson and was a dedicated homemaker caring for her ten children. Evelyn was a regular at Volney’s Bingo Hall nearly every Tuesday when she was able to attend. While at bingo, she enjoyed the company of many friends. Her other leisure times included reading and baking for her many grandchildren and other family members. She is survived by her children, Gloria Johnston of Fulton, Donald (Brenda) Waugh of Minetto, Diana Hobby of Fulton, Dennis (Debbie) Waugh of Lysander, Lenny Waugh of Central Square, Kevin (Sue) Waugh of Fulton and David (Heather) Waugh of Minetto; several grandchildren, great-grandchildren and great-great-grandchildren. In addition to her parents, Evelyn was predeceased by her husband, Harold D. Waugh, in 1984; her children, Sondra, in 1952, Thomas, in 2013, Roland in 2017; and by her siblings, Clinton Samson and Kathleen Sivalia. Funeral services will be held at 5 p.m., Thursday, February 28, at Brown Funeral Home, 21 Flood Drive in Fulton. Calling hours will be held from 3 to 5 p.m. Thursday at the funeral home prior to the service. Sorry for the loss of Evelyn. She was a kind friend to me and I’m pleased to have known her for so many years. My thoughts and prayers go out to her family and know that you all carry a piece of her heart and life with you always so she’ll always be near you. Evelyn was like a grandma to me since all mine are gone. She always loved you unconditionally and gave the best hugs! She always liked talking to you about your day and what she had done as well. I will miss her dearly. I love you Evie! RIP til we meet again.